First Time in Budapest? Browse our guide to to help you get the most of your stay! Budapest is quite large with its 23 districts and even the city center is quite big to cover all its attractions on foot. It pays to plan your trip ahead, especially if you come only for 1 – 2 days. The Hungarian capital has become an extremely popular travel destination since it offers plenty to see and do all the year round. Summer months are the busiest, especially July and August. 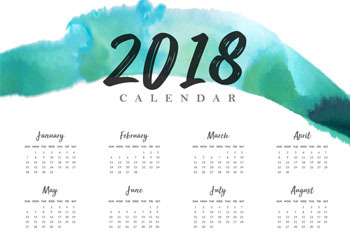 TIP: Time your visit to a special event or holiday for an even memorable vacation. Easter is a nice time with the trees and parks all green again. Budapest has a couple of lovely Christmas markets offering local food, drinks and all sorts of gifts. The Xmas fair at Vörösmarty Square is among the top holiday markets in Europe open from 10. November till 31. December 2017. Besides the culinary delights, it welcomes guests with concerts and children programs. The Christmas market by the Basilica also attracts lots of visitors with a small ice rink, light painting show, concerts and a huge selection of food. TIP: If you prefer a quieter time, come early spring or late September-October. You will still find plenty exciting programs and activities to keep you busy for a couple of days. you will also be able to put a smile on the often grumpy faces of locals! numerous other bus and trolley bus services. There are several ways to get to the centre from Budapest’s Liszt Ferenc Airport. The simplest option is to use the new airport shuttle bus service No. 100E. Although many travellers complain that Bus 100E is congested. It will take you to Deák Ferenc tér – in 40-60 minutes depending on traffic – where you can change to one of the 3 metro lines that meet there or trams. The first airport bus departs at 03:40 AM the last one at 01.20 AM and runs every 20 minutes. Ticket for Bus 100E is 900 HUF. Travel Card/Budapest Card or Single Tickets? A 24-hour travel pass is only 1 650 HUF the 72-hour travel card is 4 150 HUF. Both are valid for all lines of public transport within the city limits. Most of the inner city is easily walkable but at the end of a day it’s more convenient to ride back to your accommodation. TIP: Buy a collection of 10 single tickets at discount price (costs 3 000 HUF) instead of buying single tickets (costs 350 HUF). If you will be using public transportation often then it’s worth getting a travel card or Budapest Card depending on the length of your visit and travel plans. 32 500 HUF settled over 30 days. To avoid the awkward situation of getting caught without travelling a valid ticket and paying a hefty fine make sure you validate your ticket: through the orange/yellow colored ticket validation machines (or in older vehicles: red punch machines). Travel cards/passes don’t need to be validated). On metro you validate it before going down to the platform by escalator or in case of the M1/yellow line before boarding the train. 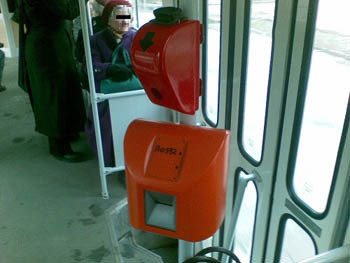 suburban railway (HÉV) you validate the ticket upon boarding the vehicle: the machine either punches holes in the ticket (the red ones) or prints a series of numbers on it (usually the orange ones). How to Avoid Getting a Penalty Fare? Ticket inspectors do occasional checks on trams/buses/trolley and the HÉV. They are undercover and only put their official armband/ID card on when they are already on the vehicle and are about to begin ticket inspection. At the metro they stand in 2-3 groups at the escalator leading down to the trains, might also board the train, or wait for passengers at the escalator leading out of the subway. Inspectors sadly tend to target tourists uninformed or confused about the validation system. Often they talk rudely to the unfortunate tourists, demanding their valid tickets/passes and if they fail to present any – paying the penalty (8 000 HUF on the spot). So do not board the metro without properly validating your ticket or having a valid travel card that has the dates indicating the validity period. On the M1 underground/trams/buses/trolley bus/night services/suburban railway validate your ticket right after boarding the vehicle. Read more about the penalty fares on the public transport company’s website! district VI. – aka Terézváros is the neighbourhood of Andrássy Avenue. Most shops, supermarkets, restaurants, cafes accept all major debit/credit cards. At the food markets you can pay in cash only. You can also buy public transport tickets from the ticket vending machines or at the few remaining ticket offices with bank card. Larger shops, downtown restaurants also accept EUR. In any case, do bring some Hungarian Forints, the local currency with you (Hungary is not part of the EUR zone yet). First time visitors on a short stay should include the following Budapest landmarks in their sightseeing program, for a well-rounded initial impression on the city. some nice selection of restaurants and cafes. The Castle Bazaar and Royal Gardens were completely renewed in 2014. A lovely place for a stroll before or after exploring the castle. The refurbished, 19th century buildings, designed by Miklós Ybl, house various exhibitions. The one in the southern palace introduces the history of the complex. a Cafe with terrace where you can enjoy the fine view by a cup of coffee, a glass of wine or whatever you fancy. TIP: For more picturesque views of the city walk up to the top of the Gellért Hill, to the tallest statue of Budapest: Szabadságszobor/Liberty statue. 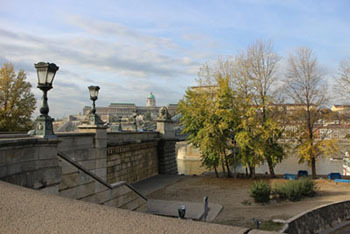 From Buda, walk across the Chain Bridge, the first permanent stone bridge over the Danube that connects the two city parts, to Pest. Continue your stroll on the Danube Promenade (Duna Korzó) till Erzsébet Bridge to admire the captivating city scape that is under the protection of the UNESCO’s World Heritage Sites program. 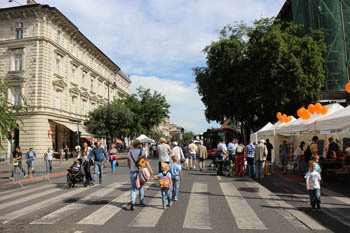 From Erzsébet Bridge/Március 15 Square turn into Váci utca – a bustling shopping street and head for Vörösmarty Square, home to holiday fairs and the iconic Gerbeaud Cafe. Stop by St. Stephen’s Basilica to see the 3rd largest church of Hungary named after the nation’s first king whose right hand you can see inside, in a small chapel. If you aren’t scared of height take a lift up to the lookout in the cupola for a magnificent panoramic view of the city (from 1st April to 31st October). TIP: The Basilica regularly hosts organ concerts, an excellent opportunity to see the interior and enjoy the fantastic acoustics of the church. Parliament & Kossuth Square – the massive building with a domed center on the Pest riverbank was built at the turn of the 19-20 centuries. The interior can be visited on a guided tour, during which you can see the Holy Crown of Hungary’s 1st King, St. Stephen. Visit the Parliament on a 1-hour Guided Tour then see the UNESCO-protected riverside of the city on a 1.5-hour boat excursion. Walk along Andrássy Avenue, a more than 2 km long Parisian-style boulevard connecting the city centre with the City Park. It ‘s lined with elegant palaces dating from the 19th century, a couple of museums, luxury boutiques, and some fine restaurants. the House of Terror Museum – exhibitions on the age of communist and Nazi terror in Hungary. The National Opera House also has varied programs all year round . It is also famed for its magnificent architecture making it must-visit attraction even if you aren’t an opera fan. TIP: If you get tired of walking hop on the Millennium Underground (M1, yellow metro line), the first underground railway in continental Europe, built between 1860-63. Have a dip in one of the handful of historic spas feed by thermal springs rich in minerals. 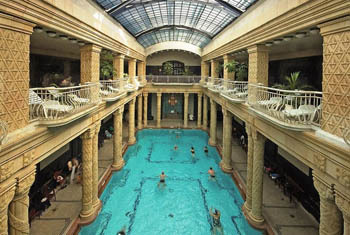 The Széchenyi Bath in the City Park is an excellent choice at the end of your walk on Andrássy út. The bath houses from the Ottoman era (16th century) reward you with stunning architecture and the experience of traditional Oriental bathing culture. 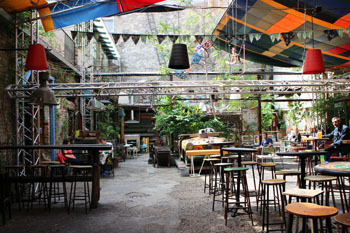 TIP: Try Rudas in the Buda side with an outdoor jacuzzi on its top, wellness services and a restaurant. In summer relax in the outdoor pools of the Palatinus on Margaret Island (listed among the world’s most beautiful outdoor baths). Budapest’s Great Synagogue in Dohány Street is a must-see attraction due to its stunning architecture and its significant role in the life of the city’s Jewish community. learn about Hungarian culture and way of life. The team of BUW has several tours that show visitors unique aspects of the city. 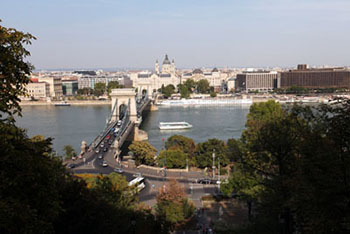 Join their city tour that covers all the important sights mainly in Pest within 3,5 hours. 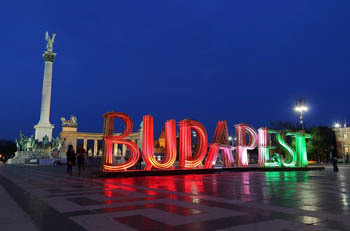 We here at BudapestByLocals.com also have some great tours/cruises and other programs. Tired of walking? Hop on a Segway and explore the city on two wheels with expert guiding (preliminary training is included). TIP: A classical music concert or a folk dance program are great choices for cultural entertainment. 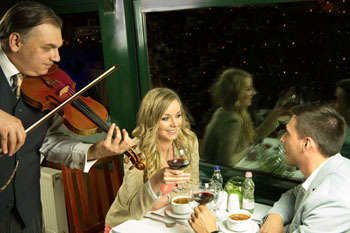 Hungarians are talented musicians and dancers and the capital city boasts numerous concert halls. You can reserve tickets online for both program genres through our website. +1: Combine a 4-course Hungarian Dinner with Folklore Show every Friday evening in an elegant city centre restaurant. A wonderful program that allows you to learn more about local cuisine and culture. Budapest is home to more than 100 museums and art galleries so it’s hard to pick which one to include in a first time visitor’s itinerary. Budapest History Museum – located in the Royal Palace of Buda Castle the museum encompasses the story of the city from the ancient times to current days. Hungarian National Museum – also a great source for learning about Hungary’s history from the earliest times up until the 1990-ies. See the museum’s website for more information. Pinball Museum (Radnóti Miklós utca 18., distr. XIII., open: Wed-Fri: 16.00 – 0.00 am, Sat: 14.00 – 0.00 am, Sun: 10.00 – 22.00 ) – you can see and play on 150 retro pinball machines for the 3 000/2 000HUF entry fee, including some rare vintage pieces and the world’s biggest pinball machine, Herkules. 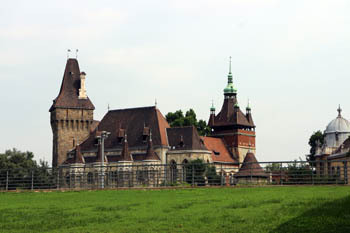 With Kids: The Hungarian Railway Museum and Park is ideal for families with children. scale models ensure an exciting time for everyone. For a more centrally located place drop by Miniversum on Andrássy Avenue. Gundel, a first class restaurant. The sprawling urban island can be accessed by trams 4, 6. Plenty of green, ancient trees, vibrant flowerbeds, monastery ruins, sport fields, a bath with wellness services (Palatinus is open now all year round) make it a must-see destination while in Budapest. The Károlyi Garden is a small park in downtown, between Károlyi utca and Múzeum krt., nice for a rest after a long stroll in the city. Kids will also appreciate it since they can play at 2-3 playgrounds designed for various ages. There’s also a public toilet at the eastern corner. 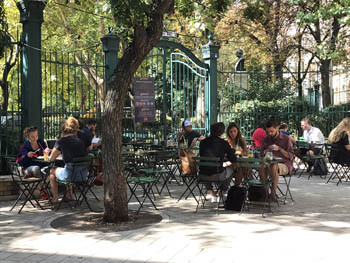 For a coffee and snacks, or a glass of wine sit in Csendestárs Wine Bar with a lovely terrace right next to the park. design fairs so you can shop for quality local food stuff, wines or souvenirs to take home. TIP: In the shopping centers you’ll always find a Costa Coffee of Starbucks, bakeries and countless fast food restaurants. The historic Central Market Hall on Fővám Square, next to Liberty bridge is not only a source of quality local produce and gastro specialties, it is a sight in itself. Grab some hearty Hungarian meal – lángos, pancakes, stuffed cababge, roated meats – in one of the buffets on the gallery. Andrassy ut is the place to hunt for luxury goods and designer fashion clothes. Fashion Street (it’s real name is Deák Ferenc utca) is also full of high-end designer shops (Zara, Tommy Hilfiger, Furla, Lacoste). Each Sunday the courtyard of the Élesztőház Craft Beer & Wine Bar turns into a farmers’ market with seasonal fruits and veggies, cheese, honey, preserves. Usually a range of programs accompany the event and it’s ideal for families with kids too. Kazinczy Street is a good place to start your night out in district VII. Kék Ló Fashion Bar, and other quirky places. Corvintető on top of a former department store, or Hellobaby for urban chic on Andrássy út. Address: Paulay Ede utca 5., district VI. For a more refined atmosphere try Boutiq bar in a street running parallel with Andrássy Av. It serves quality cocktails made by expert and creative bartenders. Anchored in the Buda side near Petőfi bridge the former Ukrainian freighter has been the coolest party spot in Budapest for many years now. Party nights by DJ-s, concerts, a restaurant and a roof terrace make it a must-visit place if you seek quality night entertainment.